Today’s feature mom for our cancer awareness week during Breast Cancer Awareness Month is Cathy. We feel honored to learn about Cathy’s story from Mommy and Me Cancer Foundation. Please check out some of the beautiful offerings by some amazing women and now friends of ours, who collaborated with us to donate proceeds from their sales to Mommy and Me Cancer Foundation, (check out the bottom of this post for more information). Cathy’s determination to seize each day is remarkable. We are in awe by her courage. My name is Cathy Nguyen, RN, BSN, SNP. I am currently a full-time graduate student at the University of California Irvine’s Sue and Bill Gross School of Nursing. I am also a telehealth nurse at a major kidney care company, the single mother of a teenage daughter, the youngest of eight siblings, and the first in my family to earn a college degree. On top of all of that, I am fighting cancer. I was diagnosed with stage II cervical cancer. But, rather than dwell on my circumstances, I’ve simply added the role of cancer fighter to my busy life. I’ve always challenged myself in academics and in my personal life. There were lots of times that I wanted to give up because the stress was either too high, or the criticism too depressing to accept. Yet, I am still here today fighting for my dreams and what I believe in. I am proud to have overcome hardships and obstacles in my way, while doing what I can to provide the best for my daughter. Perseverance and the belief that anything is possible if you put your heart and soul into have been my motivation to keep moving. My goal is to graduate and become a family nurse practitioner so that I can give back. I hope to utilize my skills and knowledge to educate the community and provide care through empathy and compassion. I want to spread the word about cervical cancer and this life-changing event. I hope to bring smiles back to those affected by this disease, just as others have given me hope and helped me smile a little more each day. The Latin phrase ‘Carpe diem’ means to ‘seize the day.’ I’ve learned that in order to live a meaningful life, you have to seize all the opportunities that come your way. We are aligned with Cathy’s vision to live a meaningful life and are dedicated to spreading awareness. We have collaborated with some amazing women who are just as dedicated to this cause. Every purchase of these beautiful items below have proceeds going to aid Mommy and Me Cancer Foundation help mommas who need it. 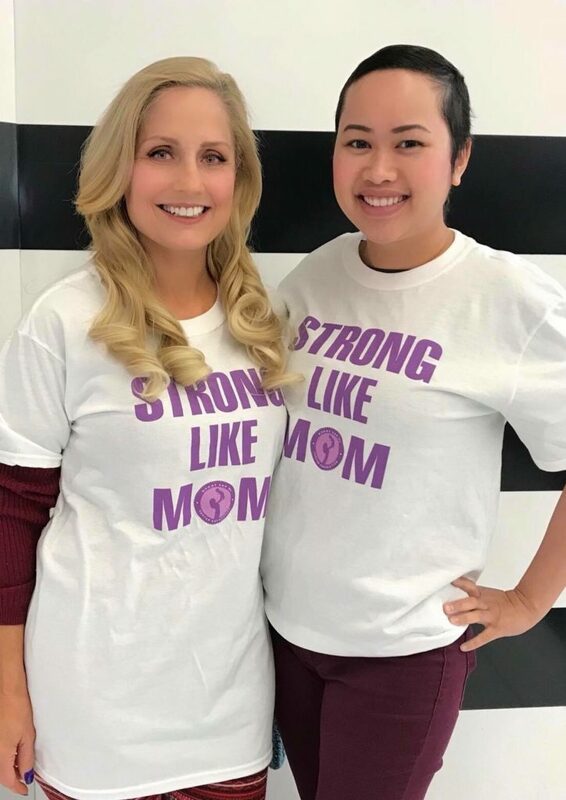 Mommy and Me Cancer Foundation is a trusted charitable organization whose mission is to support mothers with cancer who raise minor children so no family fights alone. More info and ways to donate here.